Tenerife is the largest and most popular of the Canary Islands and during the past years tourism has grown, reaching 6 million tourists in 2016. With these numbers, it's clear that the island has become very busy and you should think well before deciding when to come to Tenerife. Tenerife is known as the island of the eternal spring as it gets temperatures in the mid 20s even during winter and spring. The busiest time in Tenerife in spring is during the Easter period, especially the week before Easter, known as Semana Santa. During this time there are a lot of religious processions as it is a very important holiday in the Spanish culture, so many people take time for a holiday and choose to come to the island to enjoy the beautiful weather. 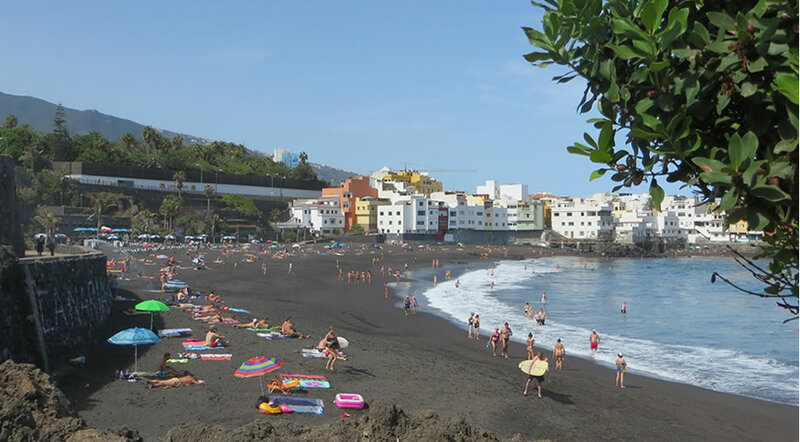 The prices for accommodation and flights go up during Semana Santa in Tenerife and it gets very busy, so if you're after a more relaxed setting, just avoid this time frame. February and March are the months when it's most likely to snow on Teide and the weather in general is more fickle and moody, since the seasons are changing from winter to spring. If you're choosing to visit Tenerife in Spring and you're looking for warm weather, we would suggest you choose accommodation in the Tenerife south area: Playa de las Americas, Los Cristianos, Costa Adeje, Playa San Juan up to Los Gigantes. Summer is one of the 2 high seasons in Tenerife. The island gets very busy during the summer months, especially between July and August, during the school summer holiday. 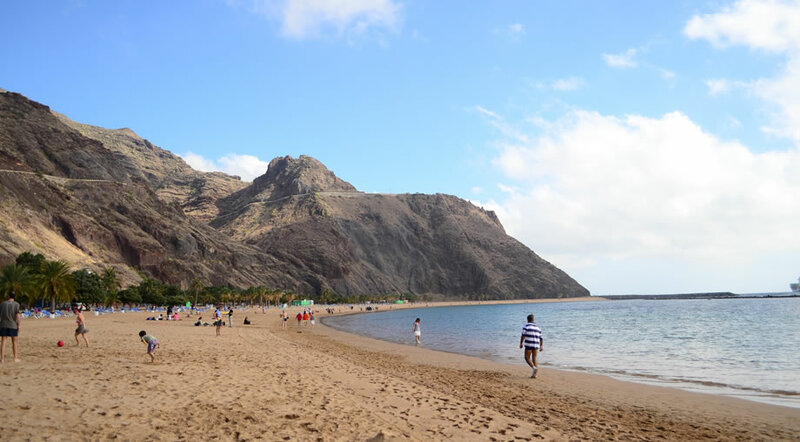 Tenerife is transformed during summer, chances of rain are almost null, temperatures often rise above 30C during the day and there's the threat of calima, which sometimes happens when the weather gets too hot. However, Tenerife is beautiful and lively during the summer months and if you want to go swimming all day long, this is the best time to visit Tenerife. Summer is also the perfect season to explore the north of Tenerife - you can choose to stay in Puerto de la Cruz and from there explore the beaches in Taganana, the Anaga forest or the natural pools in Bajamar and Punta del Hidalgo. If you're planning a holiday in Tenerife in July or August, make sure to book in advance, as the prices skyrocket and you might end up paying a small fortune. Summer is also when people in their 20s choose to visit Tenerife and they usually choose the area around Playa de las Americas, where most clubs in Tenerife are located. Also, during the summer there are more music festivals and beach parties, so its a popular time for party goers, who enjoy long nights out, followed by lazy days on the beach. If you want to visit the island in summer, but you want to get away from the noise and the crowds, read our article about where to stay in Tenerife. The month of September is usually still as hot as August and July, but by October the temperatures cool down a little, staying below 30C most days. It's the ideal to season to walk and explore Tenerife, not just spend time at the beach. Autumn in Tenerife means that families with school aged children leave the island and they are replaced by visitors from northern Europe, mostly couples, who come here to escape the cold back home. The north and the south both have pleasant temperatures, so it's again the perfect season to go hiking in the north or to explore the trails inside Teide National Park. Winter is Tenerife's second high season, since the Canary Islands are the warmest place in Europe, situated only 3-4 hours away from the mainland. When the rest of Europe is covered in snow, people in Tenerife are still enjoying temperatures above 20C and sunny days on the beach. The pace is a bit slower compared to summer, since most of the visitors are elder couples from northern Europe who come here for the mild weather. Winter visitors in Tenerife are different from summer tourists and the days seem more relaxed and chilled, with less young people arriving to Las Americas for partying all night long. Also, see more photos and info about Tenerife in December, if you're thinking of spending a Christmas or New Year's Eve in the sun. If you're looking for a cheap holiday in Tenerife, then you should avoid the summer months and also the months of January and February. Usually in February there's also carnival season, with the carnival in Tenerife being the second largest in the world after the one in Rio de Janeiro. Other busy and expensive times are Christmas, New Year's Even and Easter, so you should avoid those times also. Low season in Tenerife means the months of October - November and March, April, May, with the exception of Semana Santa and Easter. During these months you'll find the best flight deals to Tenerife, as well as cheaper accommodation. But if you're looking for a cheap holiday in Tenerife, you should still book ahead of time, since the island is pretty full all year long, especially since other beach destinations preferred by Britons have suffered set backs due to safety reasons. The upside is that Tenerife is an year round resort island, meaning that you can enjoy its beauty at any time of the year, since none of the attractions close down for winter or any other time. Even during the winter months, when the ocean water is colder compared to the summer months, you still have plenty of heated pools as an alternative or water parks such as Siam Park, where you can enjoy swimming without having to worry about the water temperature. So if you're wondering when it's the cheapest time to visit Tenerife, definitely go for one of the autumn or spring months and you'll still enjoy a fabulous time on this privileged island.